It's already limited to 3. I don't think lowering the limit by 1 will have much of an effect. I agree with this. 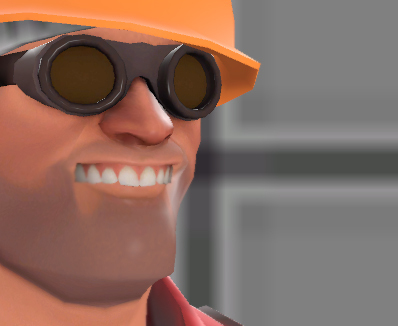 If your team is having problems with spy, then have someone go spy-checking pyro and ask everyone else to be on the look out. The problem with that, though, is if one person hogs the spy slot all the time. Especially if they aren't very good. (likely ) You could limit the amount of time each person gets, but I think a straight-up limit of 3 spies works best. It's just enough to let people play spy if they want to, but not so much that your entire team is spies. What are the other class restrictions? This was taken less than a month ago on upward (see attached screenshot). That's an eight, not a six. There's only a restriction on spies. The last point on pl_upward often turns into a turret spamfest, but if BLU can't deal with multiple engineers by using spies, ubers, & stickies/direct hits, then they don't really deserve to win anyway. We talked about class restrictions a lot in the past when first creating the servers. We had some pretty complicated plans to adjust the number of allowed snipers on the fly for example. I won't go over the details, but what we realized is that it's not fun to prevent people to choose their class. In the end, if a team wants to win, they will have to strategically decide to regulate their class composition. Obviously, players with more experience will switch class accordingly, while new players might not understand the need to. A team that decides they need 6 engineers to defend the final point is perfectly understandable and logical. The attacking team then needs to react accordingly. It's also obvious that a good class balance is a lot more powerful than stacking one class (having a lot of engineers will mean less pyro to spy check). The only reason we put a cap on Spies is because we feel it's the most powerful class in TF2 when played well. They are able to slow down reinforcements, pick enemy snipers (or at least seriously distract them), destroy sentry nests, etc... It's also the class new players have the most trouble understanding ("I shot him he was dead, he must be hacking").